This past Saturday gave us a slew of releases all at once, in typical Pokemon Center style. This post will cover the Pokemon Center 2018 Easter promotion! The most anticipated items from the event: the plush! 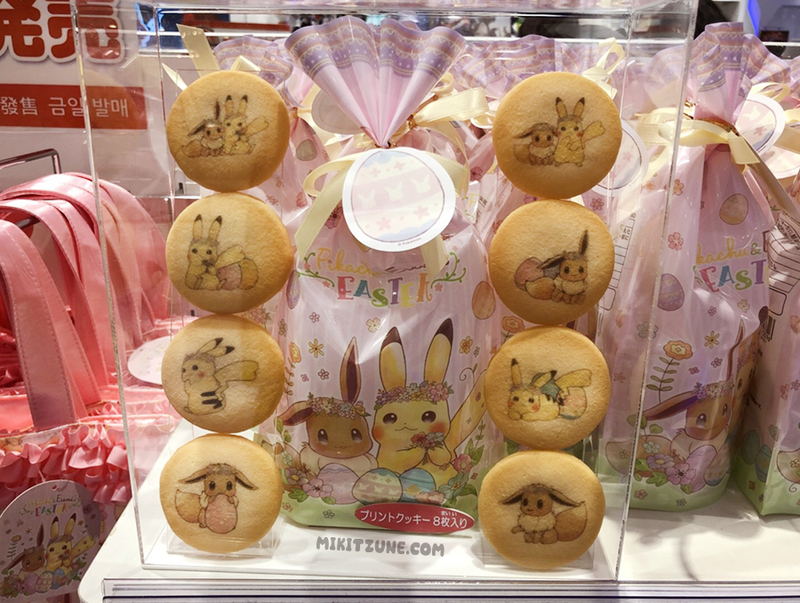 This year’s Easter promotion had two main stuffed animals – Pikachu and Eevee – both with adorable flower crowns. If you like tiny plush you were in luck because there was also mascot plush sized versions of both Pikachu and Eevee. Just as adorable and also with flower crowns but small! And if you love cushions, then you were also in luck! 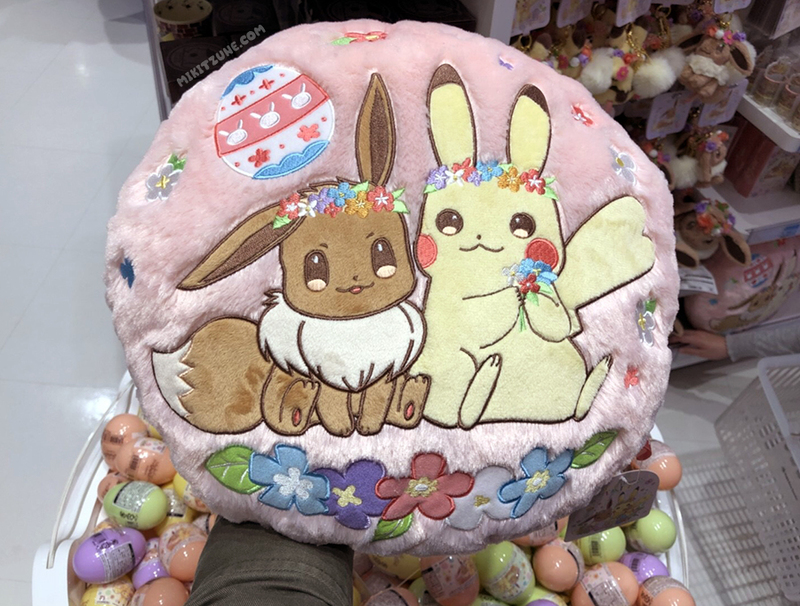 There seems to be at least 1 cushion in almost every major Pokemon Center promotion lately, with the 2018 Easter promo being no exception. Soft and cuddly and with both Eevee and Pikachu, there’s no downside here. Some other items of note: pass cases! These cases were a lot bigger than I thought, but they make good bag decorations even without using them to hold train passes. Cute dice bag with Pikachu on one side and Eevee on the other. Fashionable scrunchies! The yellow one comes with a small Pikachu charm while the blue design comes with a small Eevee charm. 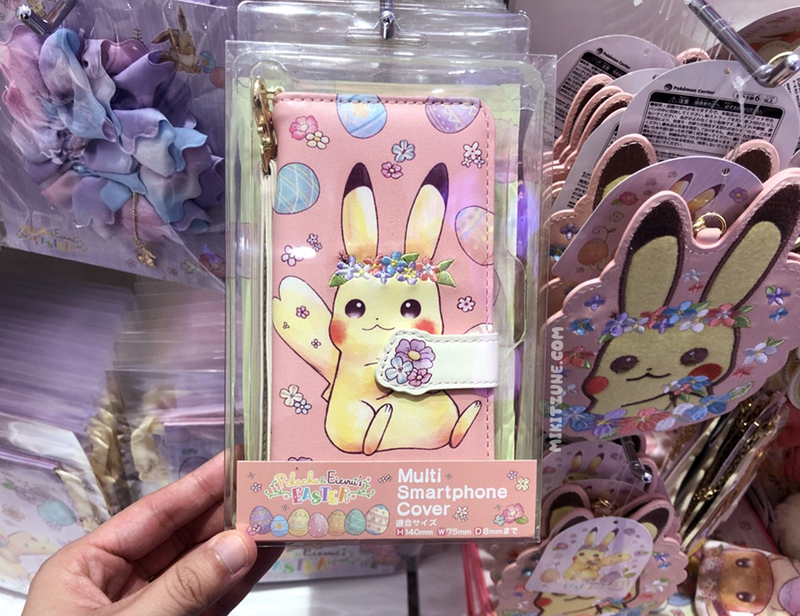 An adorable phone case with Easter Pikachu! Even comes with a hand strap to keep you from potentially dropping your phone. There was also stickers, a stationary set in a cute box, a notebook, and (not pictured) decoration tape. And of course not forgetting… the cookies! This promotion was incredibly popular, with the plush and mascot plush selling out from all Pokemon Centers in the Tokyo area by Sunday morning. I have a feeling they will restock but for the moment, if you didn’t pre-order or get to the Pokemon Center early on Saturday morning, you’re out of luck. Pray for restocks!